I spent some quality time with Robert Levine and Michael Sterflinger at the Zistos Video Systems SHOT Show 2014 booth. I was not just impressed with their Made in the USA (Holbrook, NY) products, but with Zistos’ extremely strong customer service attitude. I also got to play with one of their cool new toys—the StealthSCOPE. 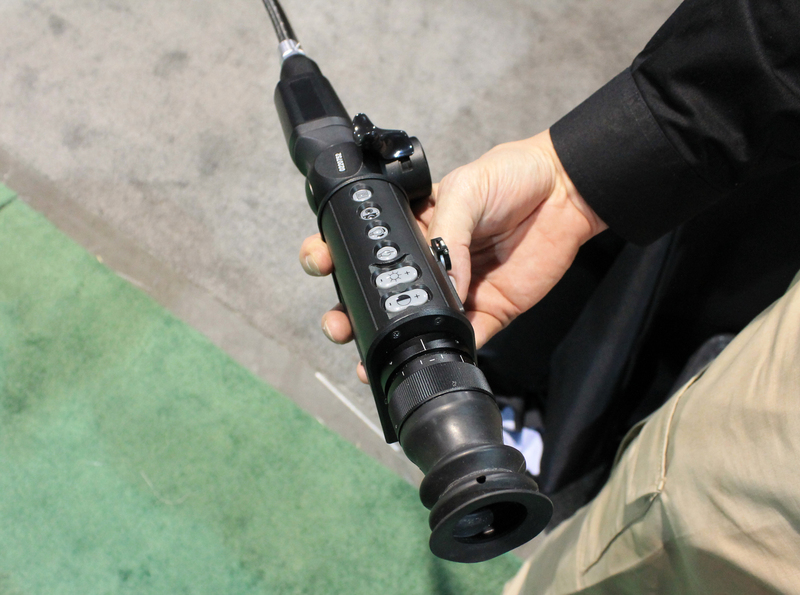 The StealthSCOPE is a tactical tool that has a small articulating camera head that can be maneuvered into tough, tight spaces for covert video surveillance. 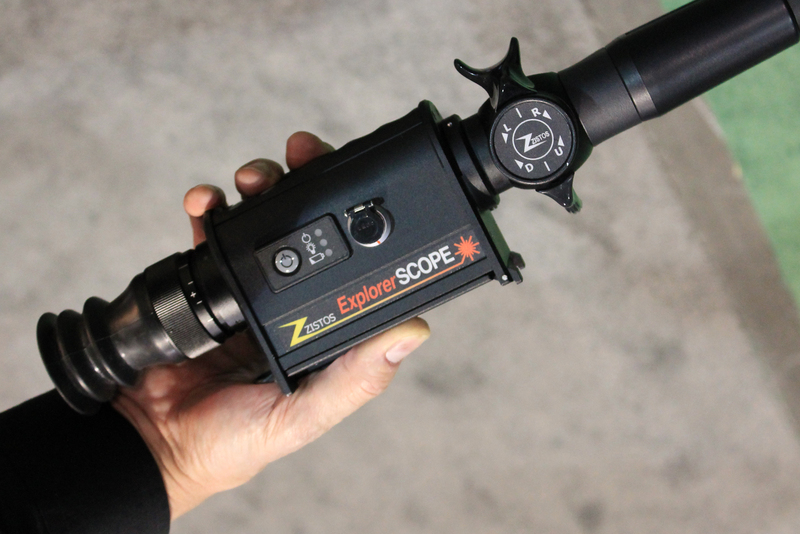 I took photos of its sibling, the ExplorerSCOPE. 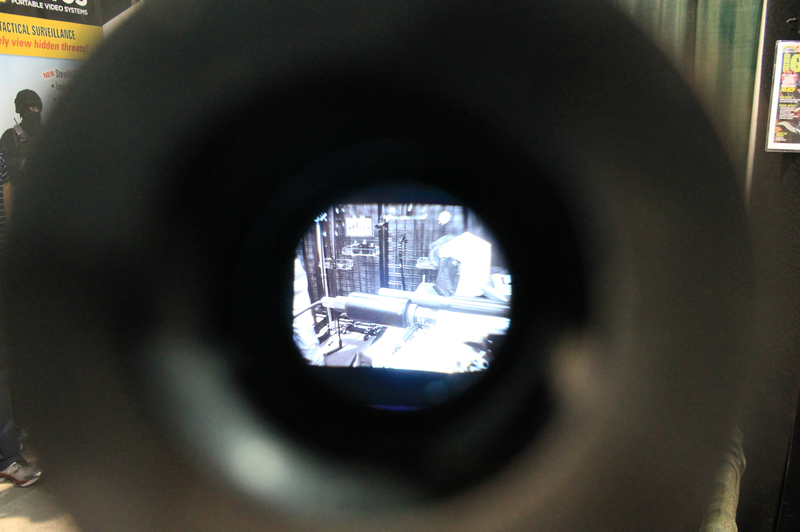 The “wand” of these scopes moves in four directions to be able to place the camera in the desired orientation. A 980 nm infrared laser provides a light source to the camera that is invisible to the human eye. 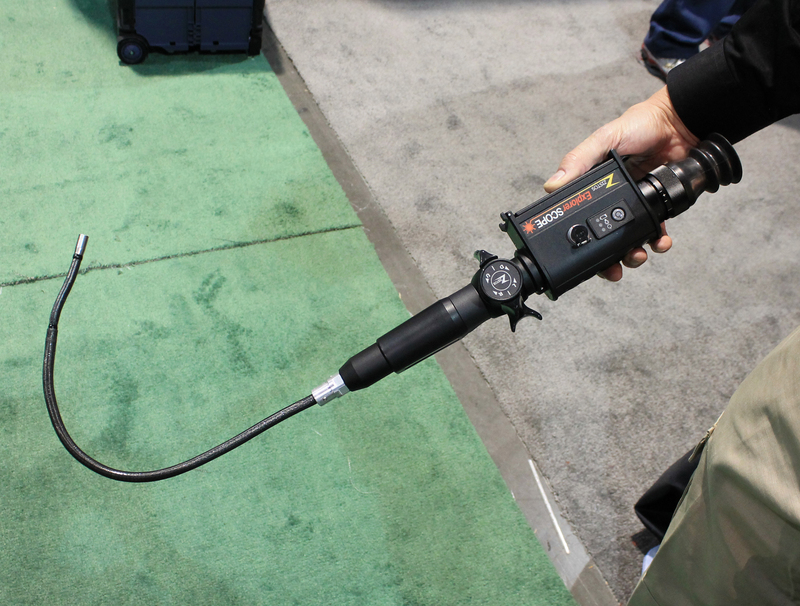 With this IR laser and enhanced video electronics, the StealthSCOPE can see in total darkness for 20+ feet. In visible light, the StealthSCOPE provides images up to 40 feet. These images can be viewed through the high resolution monocular or “wired” to Zistos’ 5” LCD monitor. I discovered that Robert and Michael are engineers who started out working with industrial inspection equipment. That led them to found Zistos Corporation and begin making search and rescue electronics. A natural progression was to move into the tactical arena. 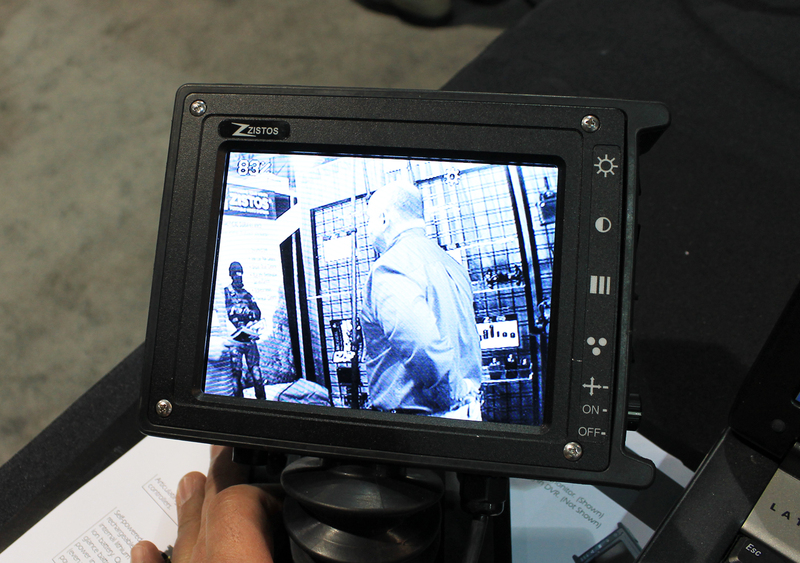 I was looking at a Zistos tactical pole camera in the booth. I noticed that the monitor was linked to the pole and camera section with flexible rubberized wire. Robert said that, increasingly, they are finding that interception technology exists to pull wireless feeds out of the air by bad guys (or the Media). He said this is becoming less expensive and less difficult to obtain…and more dangerous for tactical operators. Zistos pays attention to these details. It was a blast playing with the StealthSCOPE, though I admit I needed to practice with the two hand controls. Since the camera head moves in two axes, but is able to crane around 360 degrees, a little “stick time” with the toggles is advisable for the operators using it. Robert, the president of Zistos, said they build their products to be flexible, rugged, and backward-compatible for ease of later servicing or upgrades. He stressed that his company is proud to work with the Military, Law Enforcement, and Search and Rescue personnel. As an engineer, Robert said he has found his niche providing the tools that increase safety and save lives. This entry was posted in SWAT, Technology and tagged SHOT Show. Bookmark the permalink.